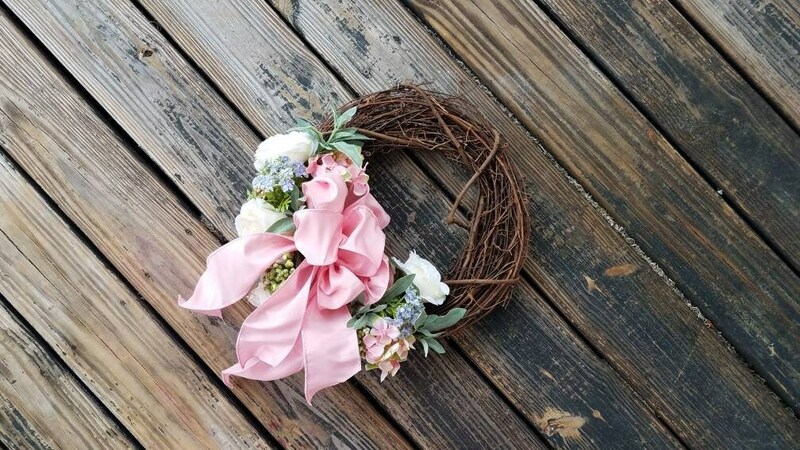 Add a splash color and whimsy to your home with this lovely, rose/hydrangea/sedum, summer wreath. 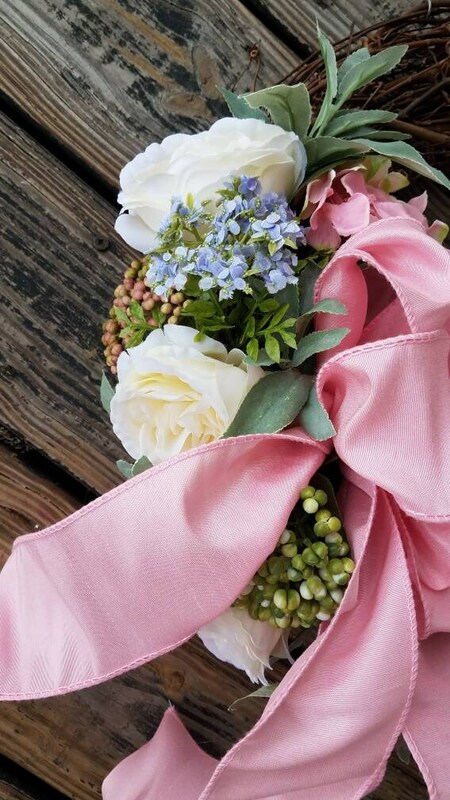 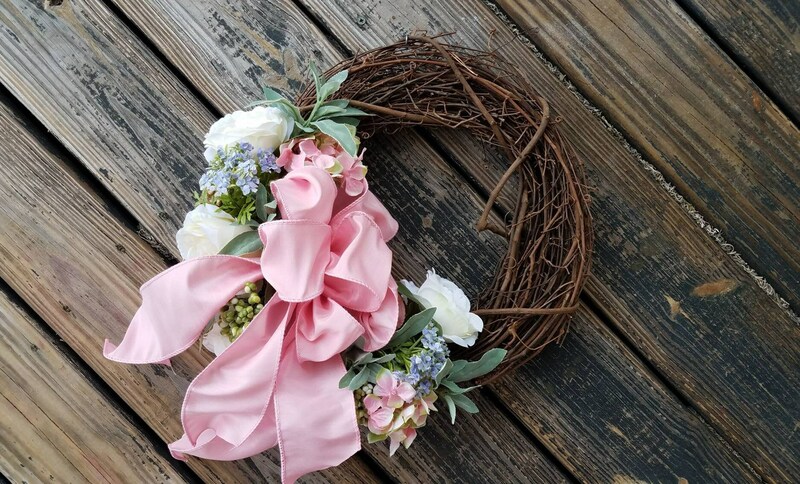 White roses, pink hydrangeas, blue hydrangeas, mint leaves, and mauve sedum form a crescent on a grapevine wreath. 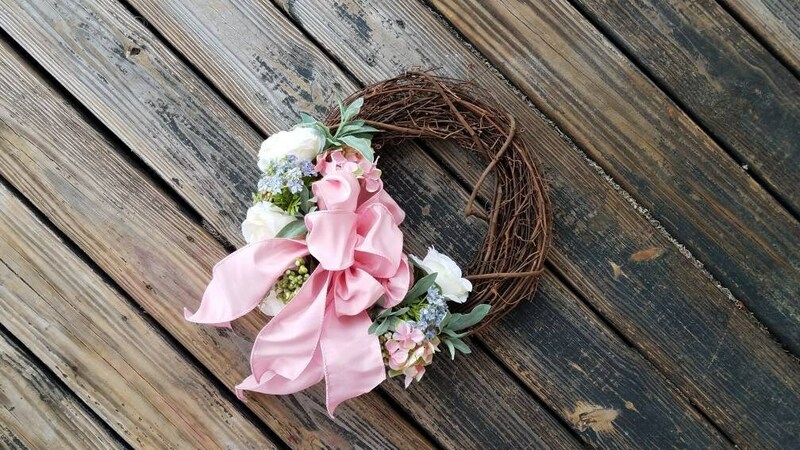 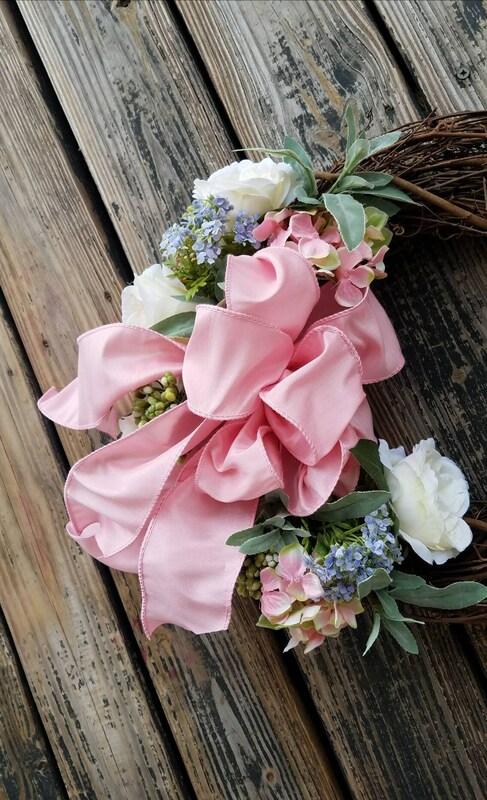 A beautiful pale pink bow finishes the wreath. 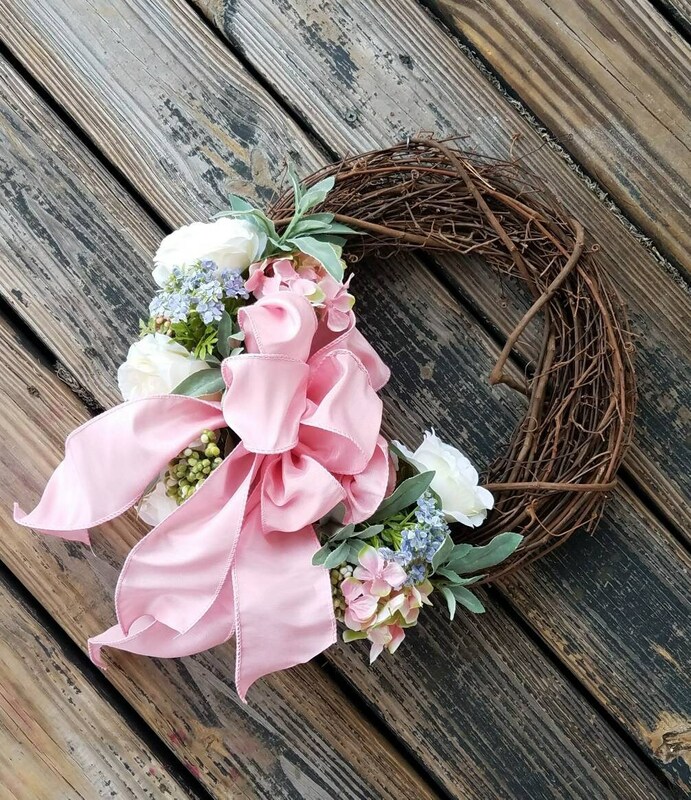 The base is a grapevine wreath. 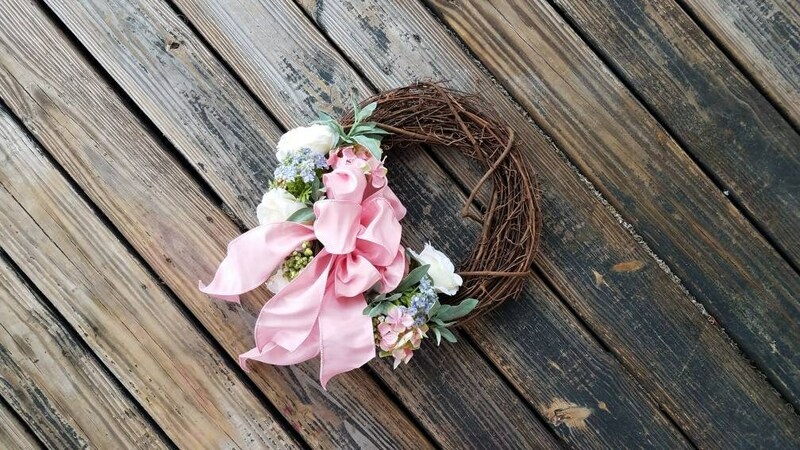 The finished wreath measures approximately 16 inches wide by 18 inches long, tip to tip.